Apple’s battery case for the iPhone XS, iPhone XS Max, and iPhone XR are finally here. Apple has been rumored to be working on new iPhone battery cases for a while now, so the announcement isn’t all that surprising — but it’s still nice for 2018 iPhone owners who can now get a case that doubles as an extra battery. Since the cases were released, The Wirecutter got its hands on one Ad-Rock found specs for the case on the label. Interestingly enough, the iPhone XS case has a battery capacity of 1,369mAh — which is significantly smaller than the 2,365mAh battery in the iPhone 7 Smart Battery Case. The iPhone XS Max case also has the same 1,369mAh battery. 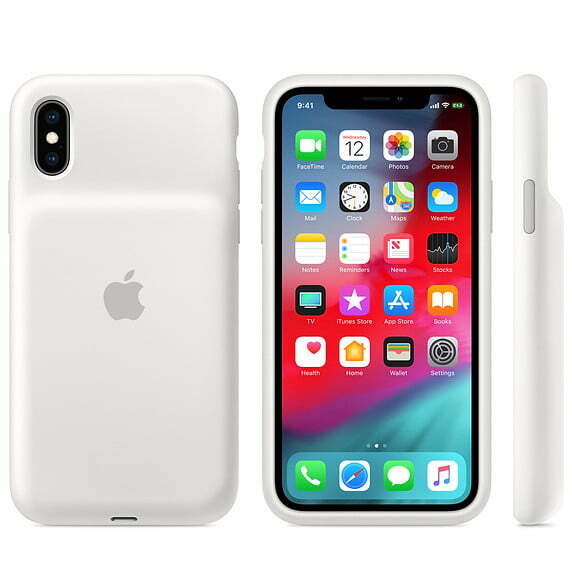 The cases themselves seem to be a similar physical size so it’s possible that Apple had to reduce the size of the battery to accommodate for the wireless charging components. The cases will be available in either black or white and feature a design similar to that of the previous battery case. with its distinctive battery bump on the back. They’re available for $130 and can be purchased straight from Apple’s website. There is one major difference between older battery cases and the new ones: The newer battery cases support Qi charging, so you can still wirelessly charge your iPhone, plus you can charge the battery case with your wireless charger. The case even supports the faster USB-PD charging standard, meaning that if you have the right charger and a USB-C to Lightning cable, you will be able to get nice, fast charging. Despite the smaller battery size, Apple revealed that the case should help the iPhone XS get up to 21 hours of internet use, the iPhone XS Max 20 hours, and the iPhone XR 22 hours. That is up from 12 hours, 13 hours, and 15 hours of use without the battery case — so the case offers a pretty substantial improvement. The case also shows an intelligent battery status indicator on the iPhone’s lock screen and in the Notification Center, so you know how much battery you have left. Of course, these aren’t the only iPhone battery cases out there — and if you buy a third-party one you might save a bit of cash. Some can come as low as $30, like the Trianium Atomic Pro Battery Case, which has a built-in 4,000mAh battery. Others may even offer a slightly more refined design by doing away with the camera bump. Still, with those, you may not get some features that the official Apple case gets you, like battery status indicators or wireless charging. 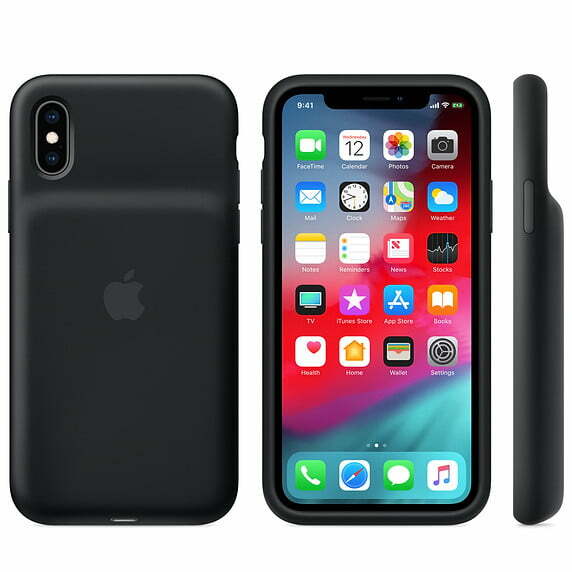 Updated on January 16, 2019: Added news that the iPhone XS battery case’s battery is smaller than previous cases.